Go on a nautical adventure in High 5 Casino’s 263rd game to find the hidden treasure! Gather your crew and sail the seven seas in search of the wild reward. Stay alert when your compass leads your ship straight into the jackpot of storms, where a sea monster rules this ancient body of water! 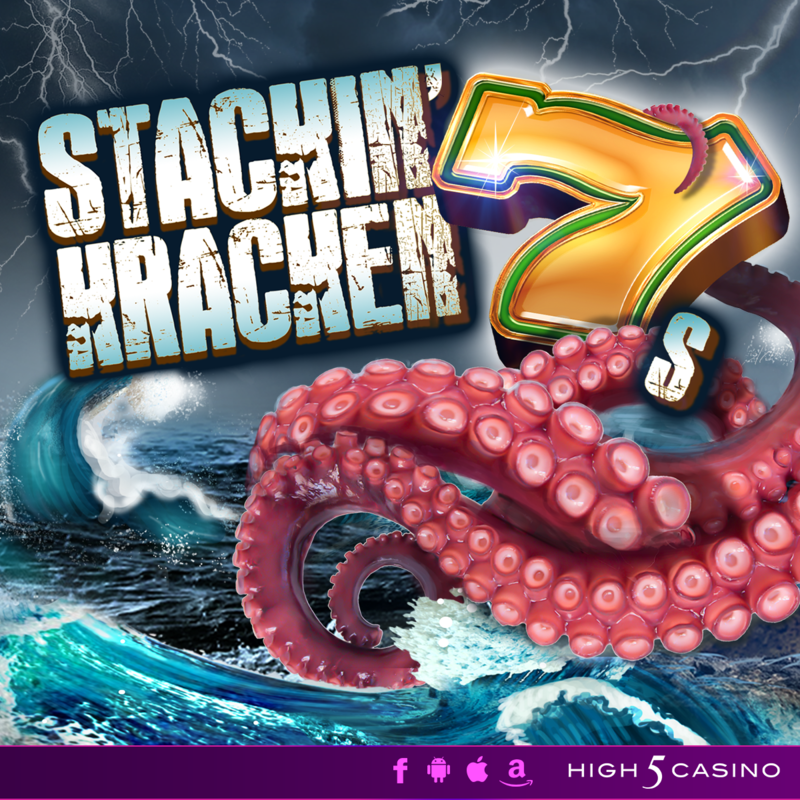 Are you ready to set sail with Stacked 7’s and Respinning Reels? Comment in the conversation bubble located on the top right corner of your screen and let us know what you think! The magical arts of good verse evil is about to begin! Get ready for High 5 Casino’s 262nd game coming tomorrow! When welcoming their new sister into their royal family, the siblings knew she was different from the rest of them. 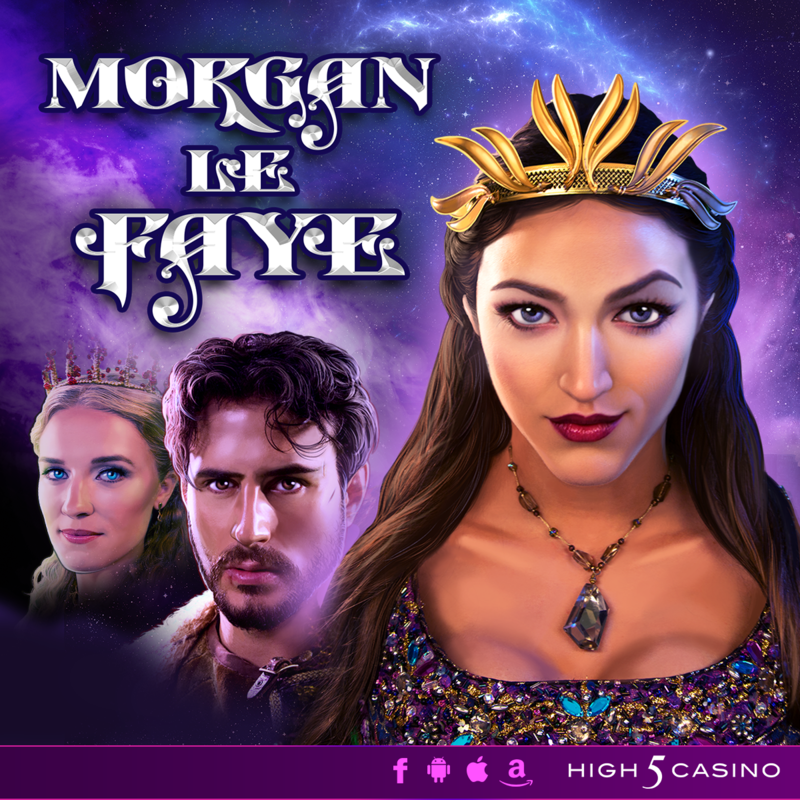 Morgan Le Faye was born with magical powers and as she grew older, she practiced ways to enhance her gift, later becoming a powerful sorceress. While getting further into her lessons, she discovered the potential to unlock even more of her power. Unaware that this spell was from dark magic, Morgan unleashed her enchantment to be pushed towards evil. Can her siblings help her fight these evil magical forces? Are you ready for Expanding Wilds and Split Symbols with Super Stacks will cast a winning power? Comment in the conversation bubble located on the top right corner of your screen and let us know what you think! Find your Zen with the Dollar Llama! 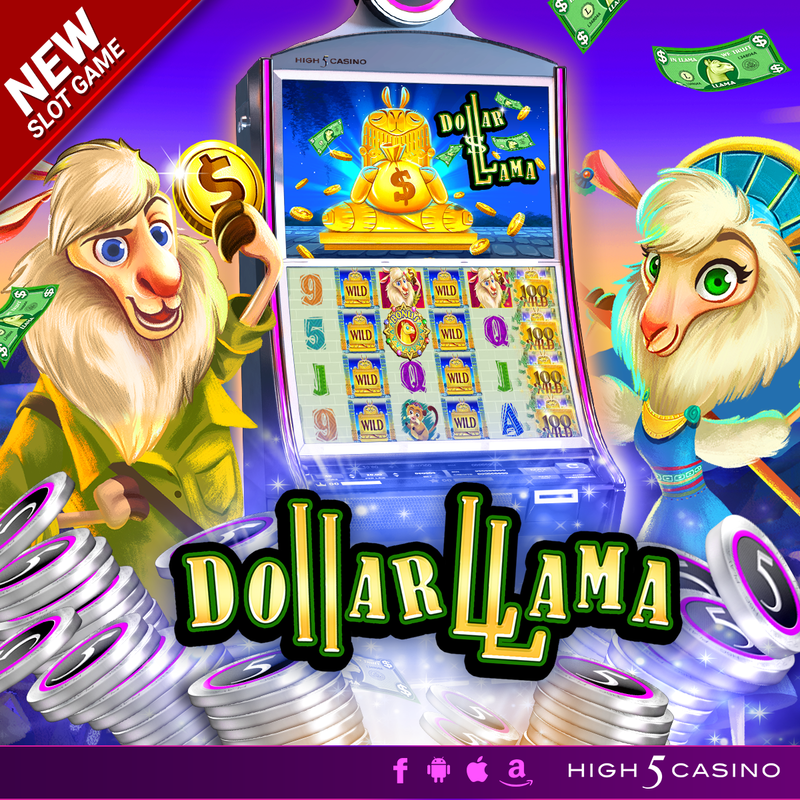 High 5 Casino’s 233rd game, Dollar Llama arrives soon! Discover a kingdom like no other! Deep in the heart of South America, amongst some of the highest mountains, hides a legendary land. Governed by peace and love, its territory is closely guarded to ensure outsiders do not find its hidden treasures. Those who are able to discover the fortress are seen as worthy and are rewarded ancient fortunes. Find your Zen with Stacked Wilds and Scatter Bucks in Dollar Llama! Check the YouTube video below and get ready to discover ancient riches in the llama kingdom! Are you ready to find out if you are worthy to find this legendary land? Comment in the conversation bubble located on the top right corner of your screen and let us know what you think! The magic of Christmas comes alive with the Nutcracker! High 5 Casino’s 231st game, The Magic Toy Soldier, arrives soon! ‘Twas the night before Christmas, while everyone else was fast asleep, Clara returned to the parlor to check on her beloved new Christmas toy, a Nutcracker. To her surprise, the Nutcracker had transformed to life size and sprung alive! Little did Clara know, she was about to embark on a magical journey filled with adventure. Twirl and spin into a whimsical world of wonder that will capture your imagination. Be a part of an H5G Christmas Ballet in The Magic Toy Soldier! Check the YouTube video below and get ready for the holiday magic to begin! Are you ready to waltz your way to wins in The Magic Toy Soldier? Comment in the conversation bubble located on the top right corner of your screen and let us know what you think! Fly alongside the golden eagle and prey on huge wins! 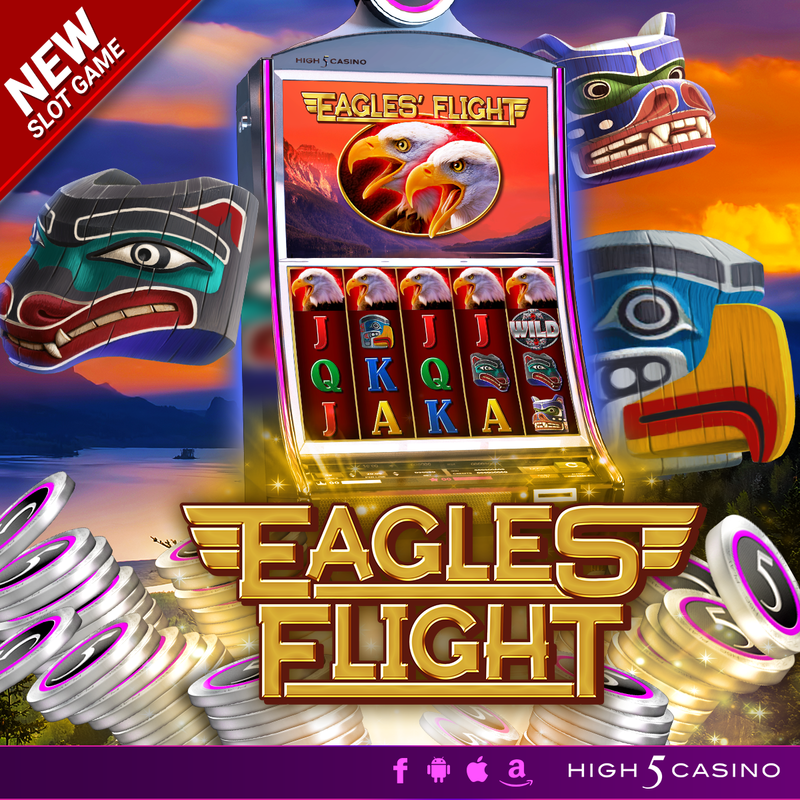 High 5 Casino’s 229th game, Eagles’ Flight, arrives soon! Take your views to the skies of western North America, where some of the most majestic birds fly alongside the mountains. Eagles have flourished in the Wild West! Watch as they soar high in the sky with solitude, chasing wins and jackpots with Split Boost and Split Symbols! Follow the eagles through the sunset and win big in Eagles’ Flight! Check the YouTube video below and get ready to discover a mountain of wins! Are you ready to fly to the top of the mountains, across seas, and through forest in Eagles’ Flight? Comment in the conversation bubble located on the top right corner of your screen and let us know what you think! 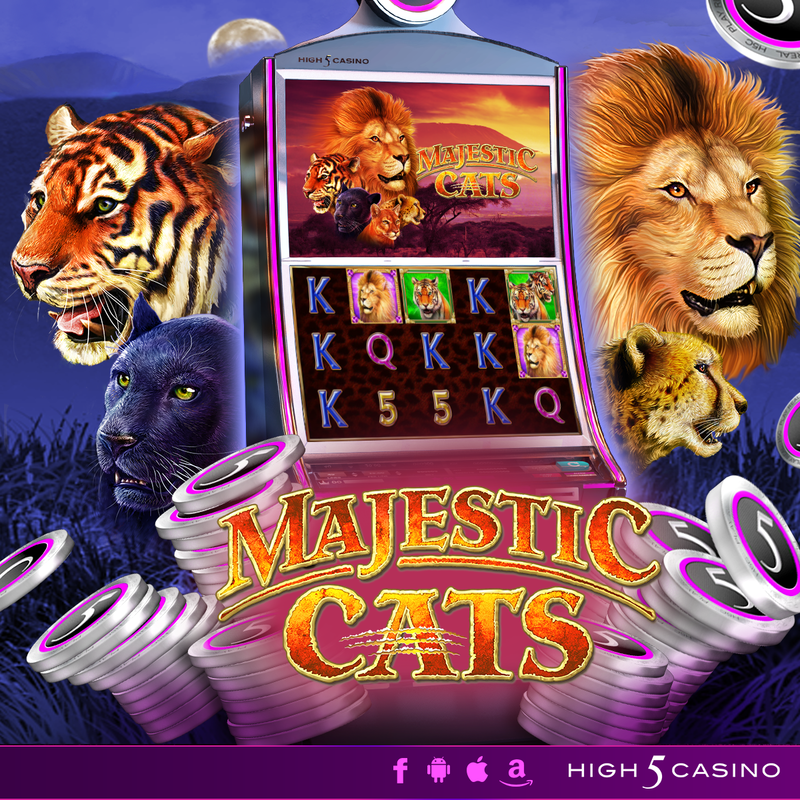 Get ready to pounce into ferocious wins, High 5 Casino’s 212th game, Majestic Cats arrives soon! They stalk in the tall grasslands of the Kalahari, the dark jungle, caves of Sumatra, and the high hills of the west. Wherever they roam, wild cats reign supreme! These grand felines will get you through any bad streak. Let their ferocious power, strength and agility guide you to just the luck you need! Venture into the wild with Majestic Cats. 3 by 5 reels. 9 and 30 paylines. Split Symbols and Super Stacks. Check the YouTube video below and get ready to venture into the wild on your High 5 Casino reels! Are you ready to venture into the wild and hear them roar? Comment in the conversation bubble located on the top right corner of your screen and let us know what you think! 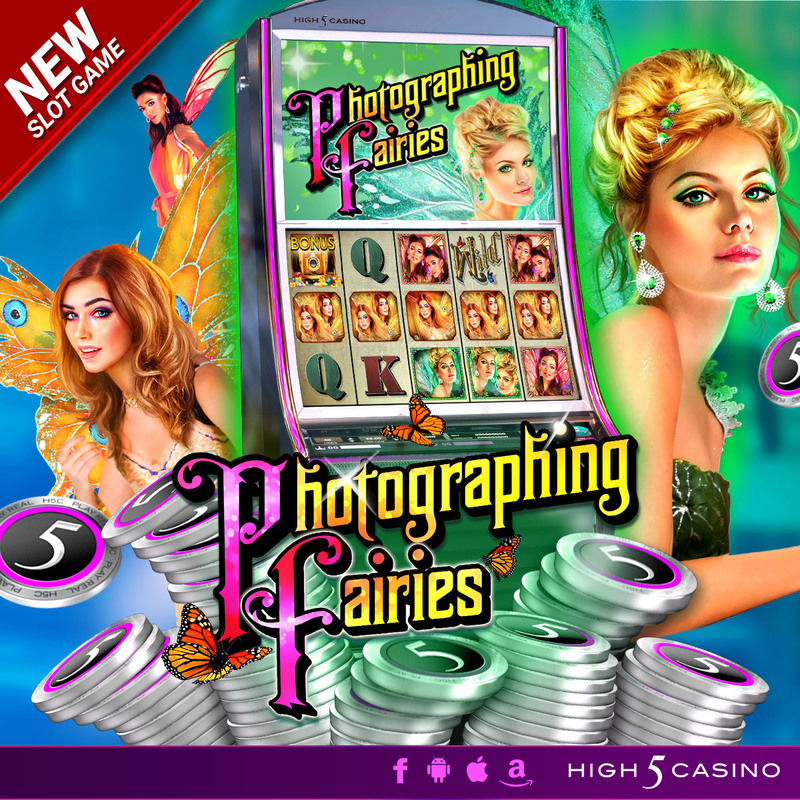 Capture the magic of fairies in Photographing Fairies, High 5 Casino’s 206th game is here! The most captivating fairies of the forest are in our studio and ready to pose just for you. Along with their captivating beauty and enamoring giggles, they bring spellbinding fairy dust! You won’t want to stop spinning once you’re charmed. Capture all the magic they bring as you spin picture-perfect wins. Snap twice as many big wins with Split Symbols and Split Boost. Endless memories await in Photographing Fairies! 3 by 5 reels. 40 paylines. Special Features: Split Symbols and the Split Boost Feature. Check the YouTube video below and head over to High 5 Casino to capture the magic on your reels today! Are you ready to snap twice as many picture perfect wins? Comment in the conversation bubble located on the top right corner of your screen and let us know!